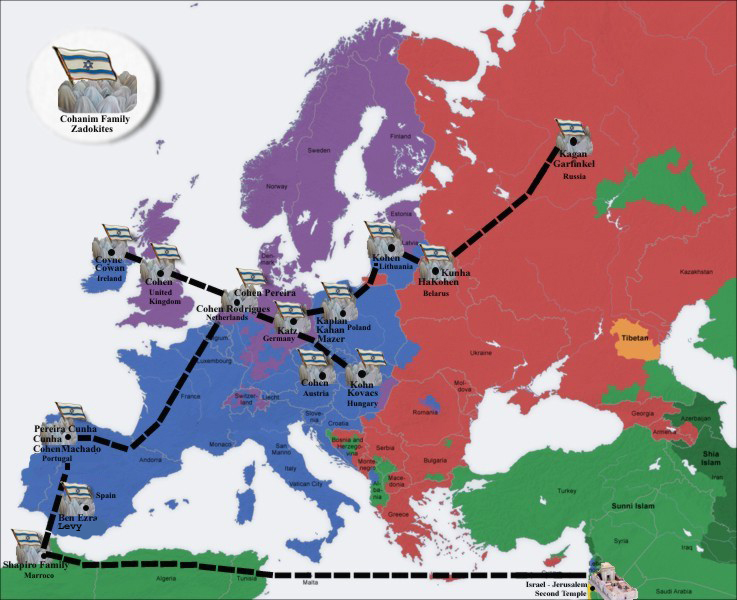 Hullinger DNA: How Did Our Ancestors Get From the Middle East to Switzerland? There are many ways our ancestor could have reached Switzerland. Following are several possible alternatives. There are many other possible alternatives. The following images and some of the text are taken from a great article in Wikapedia about our "Y" Chromsome J2. The maps show the distribution of our Y Chromosome J2. 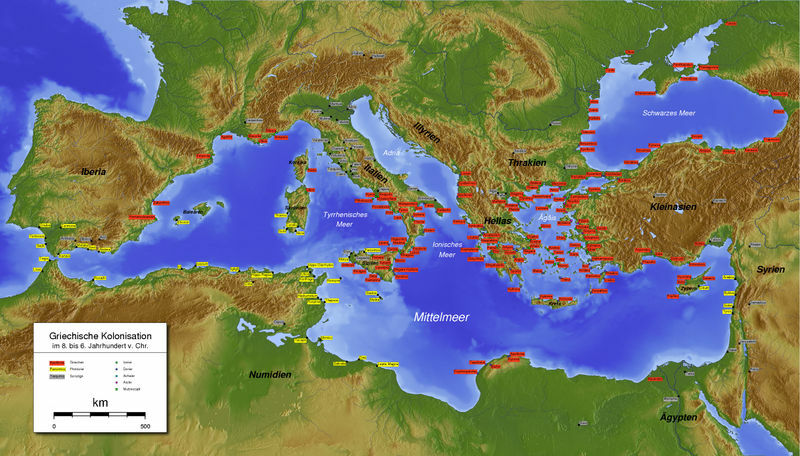 It spread from the middle east to Greece, the Balkans, Italy, France, and Spain. 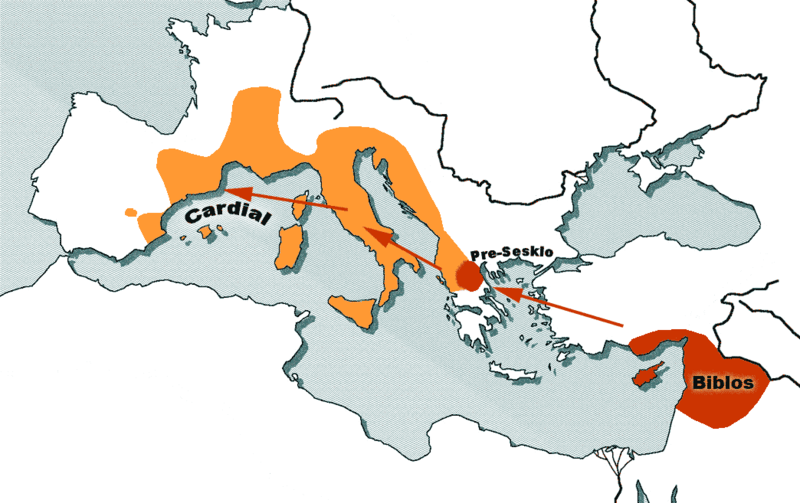 Our ancestor may have migrated from Greece, Italy, or the Balkans to Canton Aargau, Switzerland. 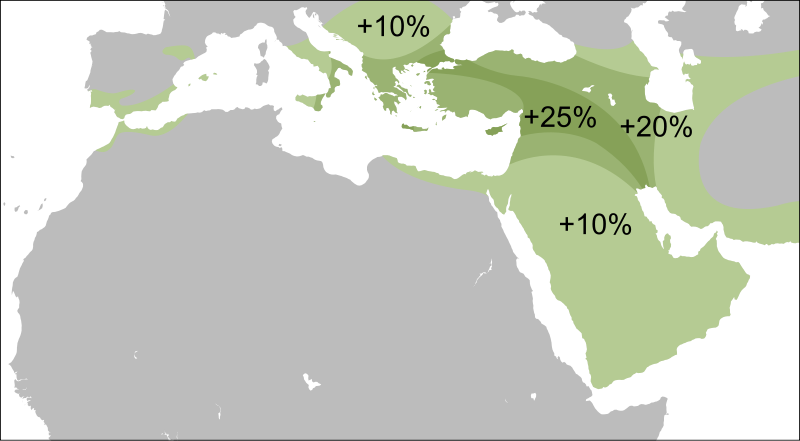 J2 is associated with the spread of agriculture from the fertile crescent to Europe. Alternative 2. 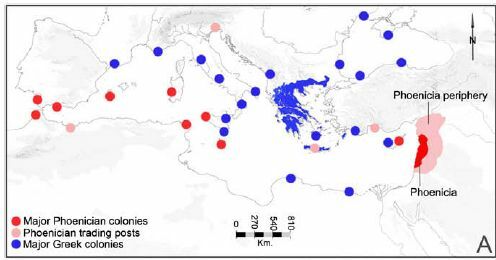 The spread of J2 along the Med looks like the Phoenicians to some researchers. They spread from the middle east by ship. Another way our ancestor could have reached Switzerland is during the Roman Empire expansion. The Roman Empire included most of the area where our J2 is located. Our ancestor could have come to Rome and eventually Switzerland as a slave, soldier, trader, or citizen. The geographic path would have been similar to the first illustration. This alternative is quite interesting. The information is taken from Wikadpedia. The Wikapedia article discusses the Cohen Priest Genetic line of descent. Aaron was the brother of Moses and began the line of Cohen Priests. All priests were to be direct genetic descendants of Aaron and would share his Y Chromosome. In reality not all Priests share one line. 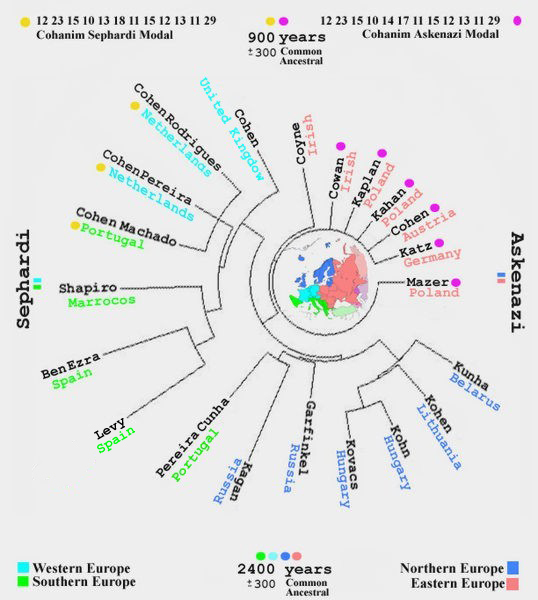 The map below illustrates the possible path of the Cohen Priest genetic line. Our Y Chromosome is very similar to one of the Cohen lines, and it is possible that our ancestors were their Jewish relatives and followed the same or similar path. The Roman Empire destroyed the Jewish Nation in 70 AD. A large number of people were killed or enslaved. A number of people escaped to other countries. A number of Jews immigrated first to Morocco, and then subsequently moved and settled in Spain, then France, later Germany, and then eastern Europe. The map below illustrates this migration. Under this scenario our ancestors followed this route and picked up the Hollinger name enroute after 1100 AD. Our ancestors converted to Christianity and immigrated into Switzerland. Our cousins remained Jewish and immigrated to Poland and Romania. All three scenarios above are of course speculation and we cannot know for sure exactly how are ancestor reached Switzerland. DNA testing may eventually confirm this last theory, however. 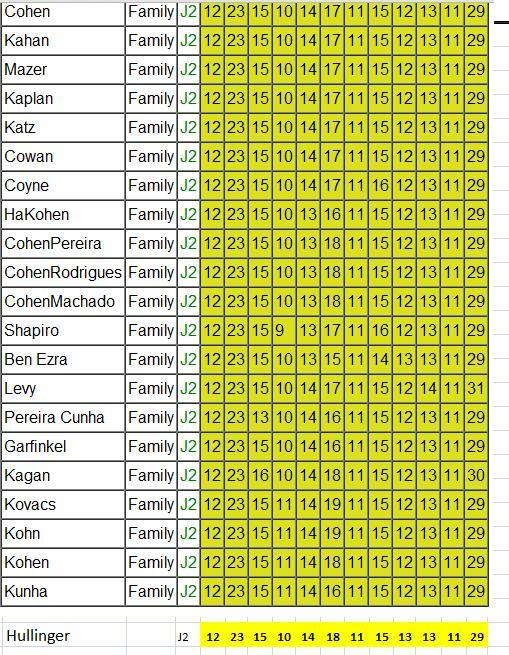 If a descendant of the Jewish Hollinger's from Romania or Poland test their "Y" Chromosome we can find out if we are closely related. If we are then this last path is likely. If not one of the other paths is most likely. I have researched our name in Israel. There are a number of Hollinger's in Israel, who spell their name Holinger. The table below is taken from the Wikapedia article. Our J2 numbers are at the bottom of the table. As you can see, our numbers are close to the Cohen J2 line. Mutations occur periodically, as shown in the table.